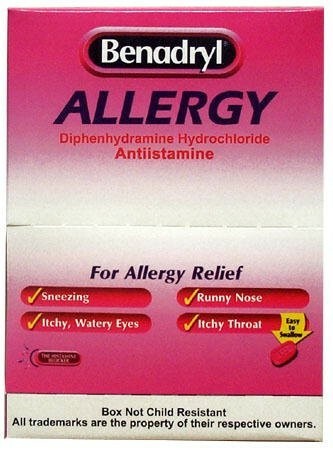 Benadryl Allergy 2 Pack antihistamine in small double dose packs. 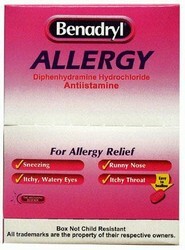 Relieves runny rose, sneezing, itchy and watery eyes, itching of the nose and throat. We needed supplies of some basic OTC medications and found everything we needed at MSS, all at reasonable prices and shipped quickly. Very satisfied and will return.